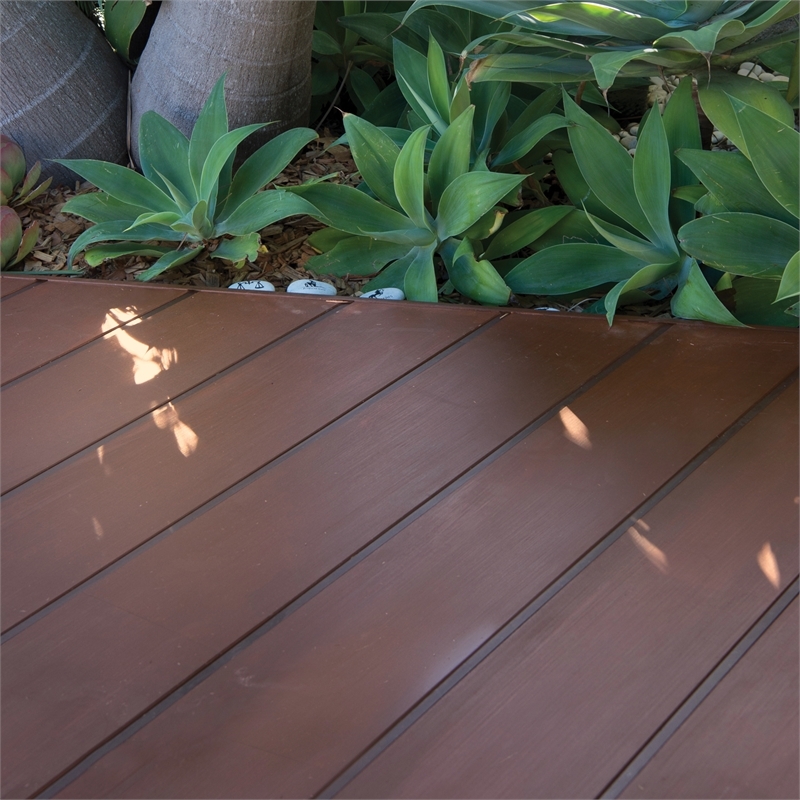 A durable deck that won't rot or splinter and resists termites. Build a stunning deck for entertaining and remove rotting, warping and splintering problems. 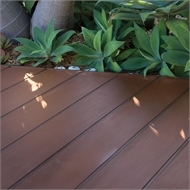 Replace your sun or moisture damaged timber deck with HardieDeck. An exceptionally durable cement-based decking that’s resistant to damage from UV rays, rot, moisture and termites when installed and maintained correctly. Installation is fast and easy. And there’s the extra benefit of hidden screws. HardieDeck Decking looks great in its natural state, or can be stained to look just like timber or painted a stylish colour. 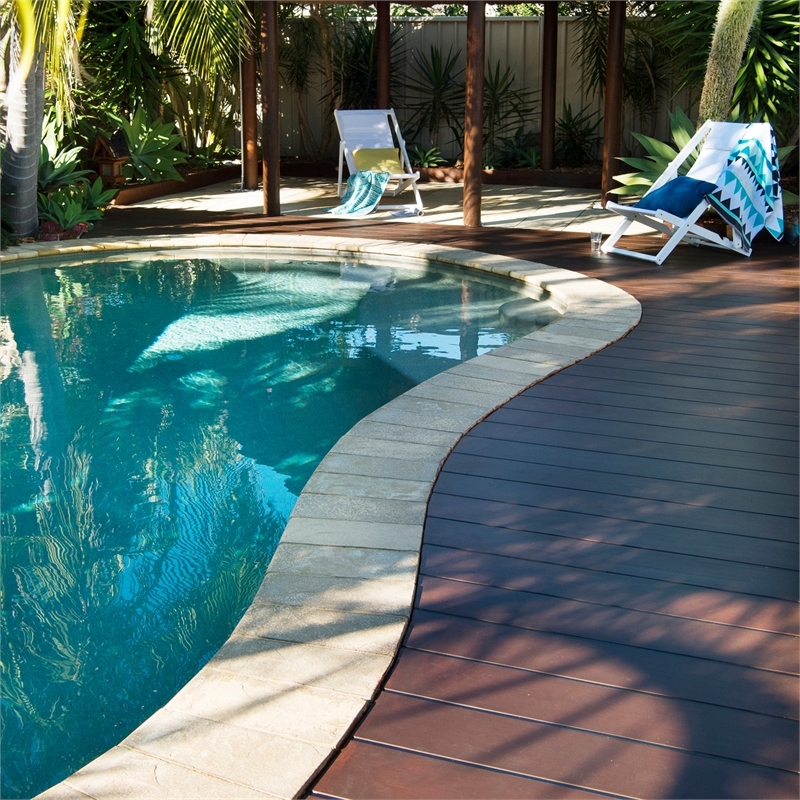 And as HardieDeck Decking is more durable than timber, re-painting or re-staining can be done less often. 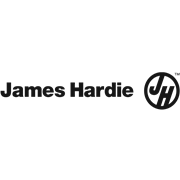 The HardieDeck system must be installed using the 3 main components; the HardieDeck Board, Double Winged Base Jointer and Snap-in Top Strip. The system width is 210mm. 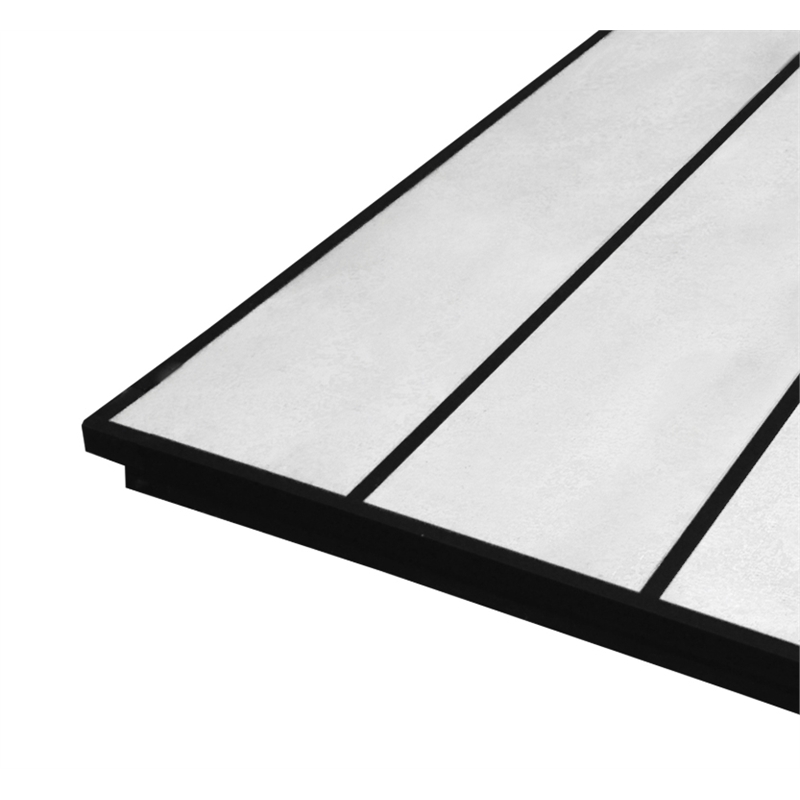 HardieDeck Edging Board 3000L 196W 19T mm. Features no jointer groove on outside edge. Use where no edge cap is used. Must be face fixed and a drip edge fitted underneath. HardieDeck Finishing Board 3000L 296W 19T mm. A wider board with no jointer grooves for use as stair treads or as an aesthetic option for deck edges or breaker boards. Must be face fixed where the long edge is not supported by an edge cap or base jointer. HardieDeck Wingless Base Jointer 3000L 14Wmm. To be used with board short ends for square on paneled layouts or where there’s no base jointer groove in the boards. HardieDeck Fascia Edge Cap 3000L mm. Secures the perimeter edge with a 30mm overhang. It features a drip edge and room to use HardieDeck as a fascia board. Or invert when running HardieDeck into a planter box or seat. 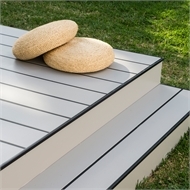 HardieDeck Slimline Edge cap 3000L mm. Secures the perimeter edge with a 30mm overhang. For use without a fascia board. HardieDeck boards weigh 19.2 kilos each so delivery is recommended. Perform an accurate estimation to ensure there are enough base jointers and top strips for each board.